Benjamin’s passion is in creating professional, unique & creative photographs. Whether it’s shooting food, or other subject matter – he loves to create the kind of images that viewers find captivating, intriguing and occasionally breath-taking. Benjamin loves the challenge of photographing food in ways which make it extremely appetising to the viewer. If your mouth waters when looking at one of his food images, he considers his job well done. The additional benefit of his work is that he occasionally gets to try some of the amazing creations he photographs. 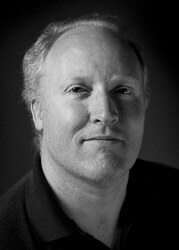 His company, Benjamin Townsend Photography, based in Sydney Australia, has been operating for over fifteen years providing exceptional photographic & post-production services to clients throughout Australia and Internationally. Cooking is in his blood. 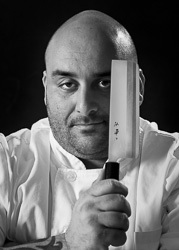 Jeffrey Vincent Simonetta is an Australian–Italian Chef whom has worked under some of Australia’s most influential Chefs. Even from a young age whilst cooking with his mother and grandparents, his greatest desire was to be a chef. It wasn’t until the age of 14 that he was presented with his first opportunity by landing a job in a bakery before school and on weekends. This path eventually lead to Jeffrey receiving two 100% marks, topping Australia in cookery, and landing him an apprenticeship at Rockpool, the best restaurant in Australia at the time, a year before he left high school. “To be Italian is to be passionate. It is to intimately taste wine, sauce, and ripe olives, as well as appreciating simplicity and nature, from the fragrance of the spring air, the skill of the sculptor, and the soul of the painter. It means to belong to a gene pool influenced by some of the most interesting cultures in history and translate those onto a plate”. Growing up in Australia with such a multi-cultural food influence, his training in fusion cooking, and the easy availability of amazing produce have provided a perfect platform for Jeff to showcase his creativity. Hey Jeff, the website is great and the recipes look fantastic. Thanks for following. More coming soon! Wow what an amazing website!!! Well Done Jeffrey!! Thanks Lisa! Ben and I are very proud of it, keep checking back for more delicious recipes! !